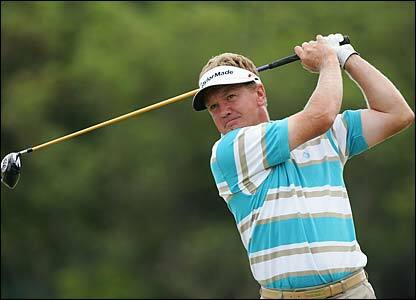 Paul Broadhurst has conceded that his days on the European Tour are all but over. The 46-year-old has seen his hopes of securing a 2012 tour card dashed after he failed to make the cut at a tour school event at Spain’s Catalunya Resort. Having first earned a place on the European Tour 22 years ago, the veteran admits he now expects his playing days to be more focused on the Challenge Tour. "It does look like the end for me in terms of playing on the tour," the Englishman was quoted as saying by the Tamworth Herald. "Golf is changing around me, the standard is getting higher and higher. "I shot 16 birdies yet came out only one under – there were far too many errors and I was always up against it. "When you look at it there are only two players on the Tour who are older than me, Miguel Angel Jimenez and Colin Montgomerie – and even he only plays here and there now. "I've noticed that I do not read the greens as well as I used to do, and I am shooting an average of 2.5 putts more than in previous years – that's massive, you can't overlook that. "I've looked into if there's anything I can get done with my short vision, because my long distance is brilliant, but there's nothing that can be done. "I've just got to get on with it."